Trade show marketing never stands still for too long. Technologies and consumer behavior constantly impact the ways in which brands work to forge relationships with trade show attendees. The last thing most brands want is to appear stale in the face of their customers and clients – and competitors. This makes trade shows and industry conferences an important channel for brands to showcase their innovative sides and engage with their audiences. Although exhibitors are typically limited by the conference as to how much space they’re able to occupy in the exhibition hall, that doesn’t mean they’re restricted by how they utilize that space. A growing trend at trade shows and conferences is the “un-booth.” Standing out from the traditional trade show display, un-booths provide attendees with a space to congregate and mingle in addition to learning about your brand, products and solutions. For instance, food brands could create a miniature pop-up version of their restaurant – complete with food and beverages – at a conference, giving attendees a more fully immersive experience of the brand beyond table topper signage and other traditional displays. The key takeaway with this sort of approach is making sure you’re integrating all aspects of your marketing messaging when developing a new way to showcase your brand at trade shows and conferences. The overriding questions should be: Will this display help me stand out and effectively communicate with attendees? Timing is one of the most important elements when attending trade shows as an exhibitor. One of the biggest considerations to keep in mind is how will your attendance coincide with any brand developments, like a product launch. Without having a hook that helps give attendees a reason to visit your trade show display, you’re making it more difficult to stand out, create networking opportunities, generate leads and a return on investment for attending the event. With that in mind, it’s smart to consider well in advance what industry conferences and trade shows will be relevant for you to attend in the coming year based on any brand developments. 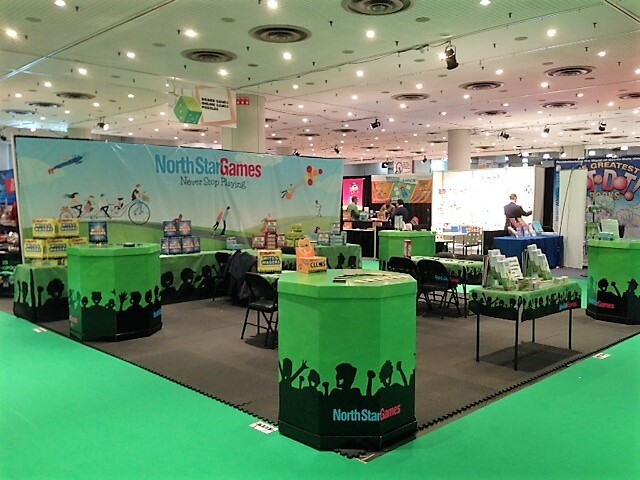 This way you’ll have enough time to work on developing a trade show booth display that speaks clearly to attendees and highlights the key messages for a product launch or update that will resonate with your specific audience. Rather than being passive observers, consumers increasingly seek out opportunities to engage with brands, and trade shows are no different. Much of the attention with interactive booths has been placed on digital media, like touchscreen displays and event-specific mobile apps. These give attendees a chance to build cross-channel connections with brands and event organizers. But they’re often one-to-one experiences with the technology, meaning someone stopping by a trade show display to interact with a tablet device is engaging primarily with the technology; the people at the booth become secondary in the engagement. As a result, a growing number of brands have worked to incorporate more tactile, interactive strategies using customized contour-cut signage to create attention-grabbing elements, such as oversized chess pieces and other games. Depending on the audience and the context of the conference, these types of displays can help separate your business from others in the exhibition hall and facilitate networking. Technology has provided wide-format printing vendors with a growing number of options to create outside-of-the-box creations specifically designed for a brand. Steve Moran-Cassese, owner of SpeedPro Imaging – Marin, emphasizes the role his studio’s CNC machine has played in project innovation. For example, he recently did a project for a Salesforce conference, creating branded POP displays showcasing the brand’s mascots. For this particular project, Moran-Cassese and his team built 8-foot bears as POP displays that can be used either temporarily or permanently, depending on the need. The combination of a flatbed printer and CNC machine opens up endless opportunities for customized signage décor utilizing wood, acrylic, aluminum and many other substrates. The CNC allows him to contour cut virtually any shape and size, whether it be dimensional letters or décor that requires multiple materials. Fabrics are an increasingly popular option for brands. With silicone edge graphics (SEG), businesses can create easily transportable, flexible and durable displays. SEG displays are attached to frames that are anywhere between an inch to four inches thick off the wall. They have a stitched in piece of silicone, and it’s positioned within a slot on the frame, and as long as it’s at the exact right size, it’s got a little bounce to it. Businesses have a graphic that’s flexible if someone bounces into it, and they’re easily replaceable. These are increasingly popular both in trade shows and in retail, which includes airports and similar environments. As opposed to a traditional trade show display where you have many rigid panels for which you have to use large crates to transport, SEG displays are easily transported due to the fact that you can simply fold them. For years, QR codes have been integrated into print, more in small-format collateral than in large-scale visuals. But, it wasn’t uncommon to see them on posters, wall murals or even on the side of a bus. QR codes have mostly been sidelined. However, augmented reality (AR) is playing a greater role in the experiential marketing spectrum, particularly at events like conferences and trade shows. The technology lies entirely in the application, as activating a static graphic doesn’t require any special printing expertise, equipment or experience. Instead, it relies on airtight integration between those creating the AR graphic designs and/or experiences and the wide-format printing partner. And since nearly everyone has a smartphone, creating opportunities for AR-focused events at a trade show or conference is limited by a company’s own imagination in how they want to interact with their audiences. Your local SpeedPro Imaging studio is always prepared to be your wide-format printing partner when devising a trade show marketing strategy for your brand. Find the studio nearest you to get started.